Thank you all for your prayers. I believe it has been answered one way or another. As I was preparing the pineapple juice, Seychel was already at her last lap of battle. She was very weak and I noticed something that gave me a reason believe that it was not G.I. Stasis. It was very clear today that Seychel was having difficulty breathing. She was breathing through her mouth as I noticed her tilting her head upwards. I thought that my pineapple juice would be given in vain and I believe by using the syringe it would clog up her breathing passage further. By then she was struggling to sit upright. I held her in my arms for a couple of minutes and she started to go into convulsion, let out a squek and breath her last. As many articles have written, fur block or G.I. Stasis is caused by an underlying problem. There was a reason why Seychel wasn’t eating and drinking. There are too many possibilities ranging from respiratory problems to even heart attack. Whatever it is I would like to put a rest to all the speculation and allow her to rest in peace. The only consolation I have is that, at least she was in my arms when she breath her last and no one else had to go through this pain except for me. Good bye my dear Seychel, I prayed that you will get well and indeed you got much more than I prayed for. 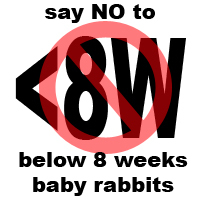 Send my regards to Unix, Micro, Latara and all the little TLR bunnies at rainbow bridge. Love you lots! i am speechless, sad and i feel that the more i interact with bunny, no matter my buns or other buns, the more i find it difficult to accept their death. 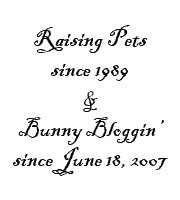 binky free baby, hope u find my beloved bun – Guinness at the rainbow bridge…..
You have tried your best to do whatever you could do for her. Me and my family do feel sorry for your lost. Bye Bye Seychel.. We’re gonna miss you..
We’re so sorry for your lost. She will be miss. Take care bro.